BOLIVIE – Titicaca - Gold and silver pieces as well as bones and pottery from 1,500 years ago were discovered in Lake Titicaca by underwater archaeologists, a researcher said Tuesday. 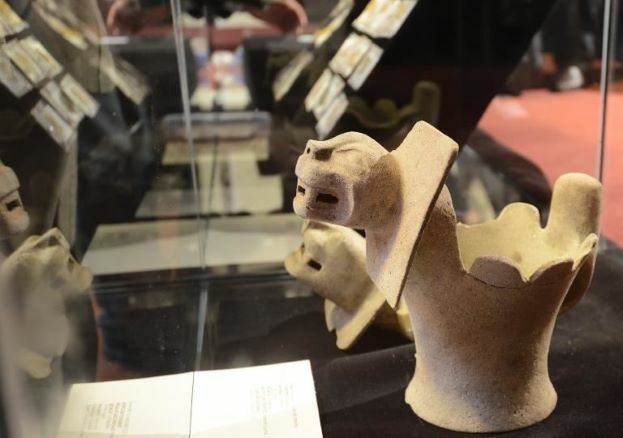 "We found 2,000 objects and fragments," Christophe Delaere, the Belgian co-director of the Huinaimarca Project that unearthed the items, said at a ceremony in La Paz. The expedition began two months ago on the Bolivian side of the lake, which is shared with Peru. Underwater explorations turned up objects from different eras, both Inca era and pre-Inca (1438-1533). The project unearthed 31 gold fragments, mainly around the Isla del Sol, where legend holds that mythical founders of the Incan empire emerged from the lake's waters. Underwater excavations were carried out in other parts of the lake where objects from different dates were found. "There are ceramics and urns from more than 500 to 800 years ago," Delaere said. Elsewhere, 1,500-year-old objects such as stone vessels, incense containers and figures of animals like pumas were found. Tales about the lake containing underwater citadels and wealth supposedly stashed by indigenous Quechua and Aymara people from Spanish conquistadores have existed for centuries in Bolivia. In the late 1960s French explorer Jacques-Yves Cousteau conducted several expeditions in Lake Titicaca, finding signs of a civilization. 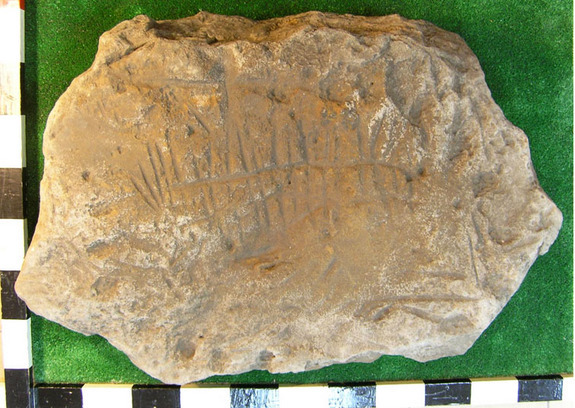 UKRAINE – Donetsk - A carved stone found marking a Bronze Age grave in the Ukraine is the oldest sundial of its kind ever found, a new study reveals.The sundial may have marked the final resting place of a young man sacrificed or otherwise marked as a messenger to the gods or ancestors, said study researcher Larisa Vodolazhskaya of the Archaeoastronomical Research Center at Southern Federal University in Russia. 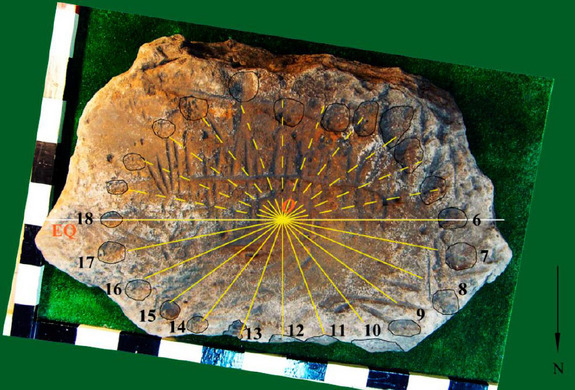 Vodolazhskaya analyzed the geometry of the tire-size stone and its carvings, confirming the stone would have marked the time using a system of parallel lines and an elliptical pattern of circular depressions. The elliptical pattern makes the carving an analemmatic sundial. A traditional sundial marks the time using a gnomon, a fixed vertical that casts a shadow. An analemmatic sundial has a gnomon that must move every day of the year to adjust to the changing position of the sun in the sky. INDE – Nedumangad - On the way to the Ponmudi Hills, there is an archaic building with slanted gabled roofs at Nedumangad. The palace, which was the royal headquarters of the Perakam dynasty, is now home to the Folklore Museum and the Numismatic Museum set up by the Department of Archaeology. Now, it is set to be renovated. The works are expected to start in two months, Director of the Archaeology Department G. Prem Kumar told The Hindu. Mr. Kumar said one of the main concerns was the structural stability of the palace, which was constructed over three centuries ago. The stability would be improved upon and stone pedestals would be installed to display artefacts. In addition, the museum would receive a kiosk and an open theatre, he said. ROYAUME UNI – Macclesfield - A 300-year-old manuscript that was found in a heap of garbage during house cleaning is expected to bring six-figures at an auction next month, BBC reports. The 18th Century, handwritten Passover Haggadah was discovered in a cardboard box in a garage in Macclesfield, England.